I’m a scented candle fan. No, actually, I’m a HUGE scented candle fan. On my Wednesday Wishlist is this absolutely beautiful Scentsy ‘Chasing Fireflies Warmer’. 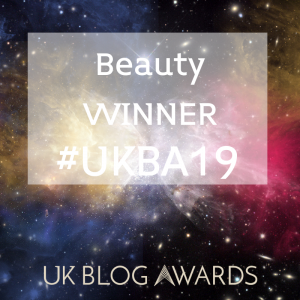 I had a beautiful Scentsy warmer – and it was literally my favourite thing ever. I used it daily, and loved it. Then my wonderful cat decided it would be a good idea to jump out of the kitchen window and knock the whole thing on the floor…and smash it into lots of pieces…it was a truly sad day. As a single mummy, I don’t often have the opportunity/funds/time to treat myself so I’ve not been able to replace it and now they don’t even sell my original warmer. 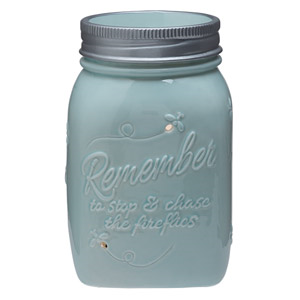 However they do sell this beautiful mason jar themed warmer which has melted my heart (see what I did there?!). It’s £39, pale blue and has a fire fly theme. I’m in love. Because my cat didn’t pre-warn me that he would be breaking my warmer (and my heart at the same time) I still have some of my scent cubes left and occasionally I like to go and remind myself of how they smell…delicious, incase you’re wondering! 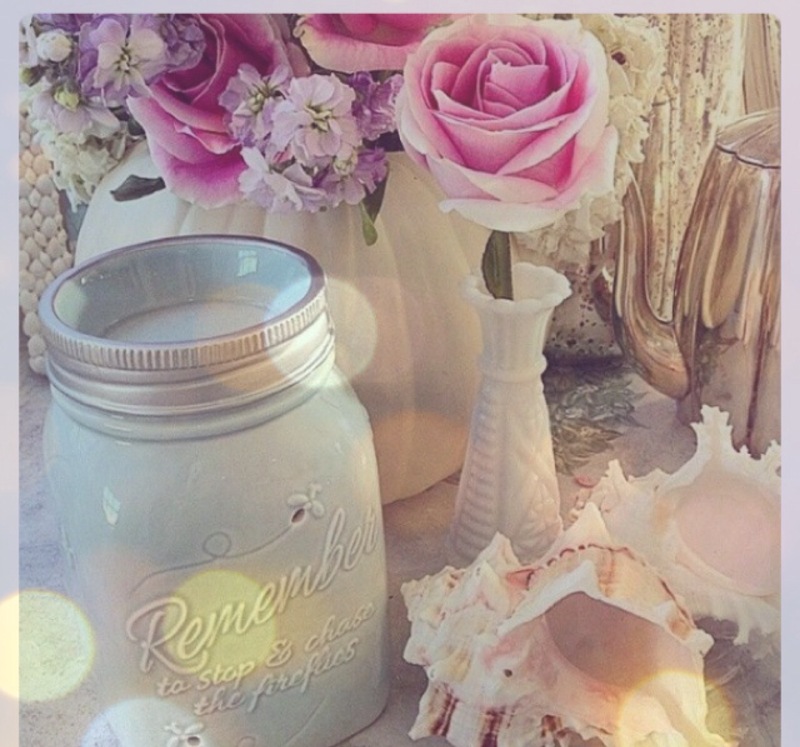 BUT since I last purchased from Scentsy they have released some new, gorgeous sounding scents which I would absolutely love too. The first is called ‘Coconut Cotton’. 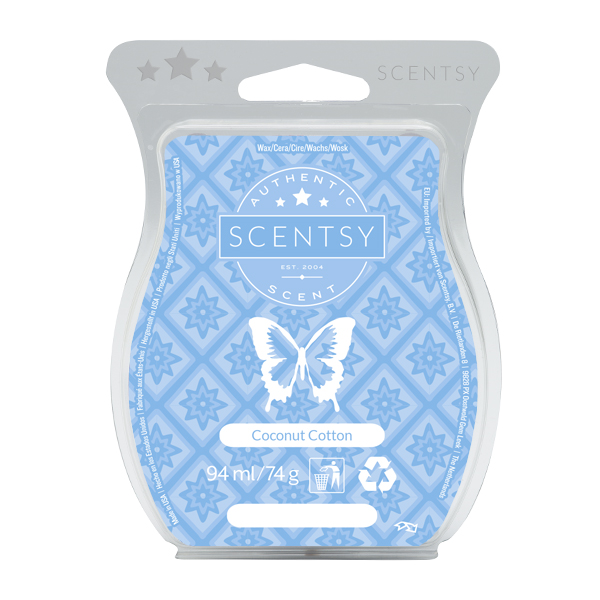 I love fresh linen type scents, they make the house smell wonderful, and I’m partial to coconut too, so I can only imagine how divine this smells! It’s described as: “sun-warmed bottom, creamy coconut milk, bright citrus and white sandalwood..”. YES PLEASE. The next scent that jumped out at me was ‘Cherry Vanilla’. Cherry as a scent and vanilla as a scent are two of my all time favourite smells, so together I’m a happy Lady Writes. “A delightful swirl of candied cherry and sugared almonds folded into velvety white chocolate ice cream”…how could you not?! Each scent bar costs £5.50 and last for ages, I know this because of how well mine lasted before. 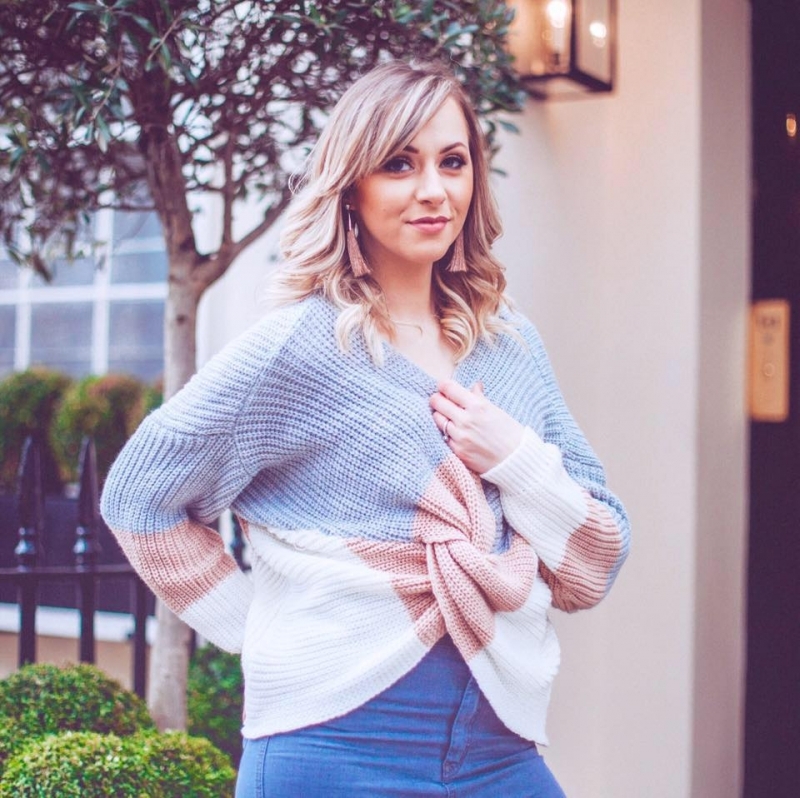 I’ve been a good girl this year, so hopefully Santa will bring me one of each of these on Christmas morning, in case you want to ask him for one too (or treat your favourite blogger to one!) then you can find more details and the full range here. 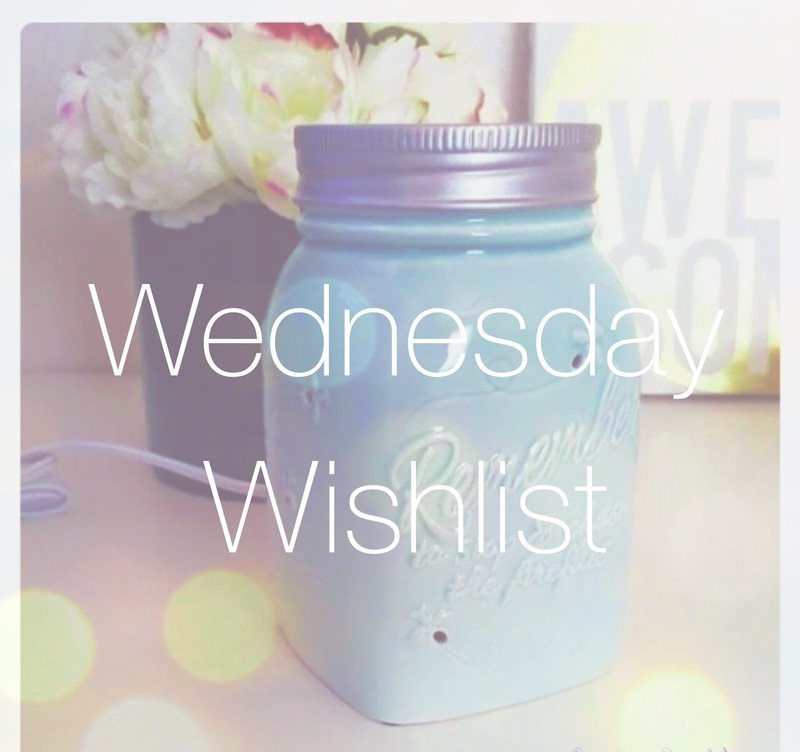 What’s on your Wednesday Wishlist?